Welcome to HiTricks. 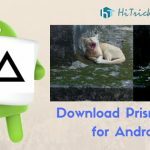 Are you feeling bored with Google Play and want a change? Do you want to try paid apps for free before buying them? Then you have come to the right place. 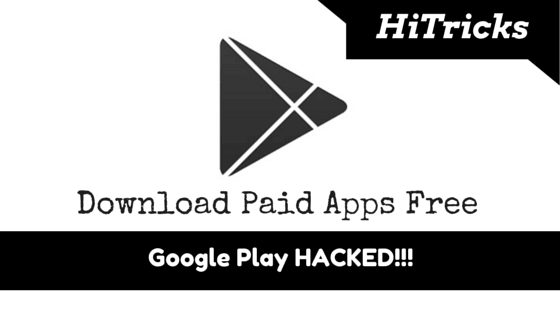 Today at HiTricks we will discuss the top 5 alternatives to Google Play Store and give you some sources too from you can grab paid apps for free of cost. Important Warning: This post includes links to download paid apps for free, which is illegal and meant for trial only. This post is just meant for educational purposes and written just for illustration. We are not responsible for whatever you do with your knowledge and whatever consequence you face. Piracy is a crime and we don’t encourage it. We respect the app developers and suggest you to buy the apps from Google Play instead. We will discuss the sources to download android apps independently without redirecting to Google Play. This is called Third Party App Install. To install these apps, you must allow App Installing Permissions from unknown sources in your device settings. Go to Settings > Security and you can find the option somewhere inside it. Check mark it. So, let’s come to the top markets to grab apps from. Another beautifully designed Market, which has a big collection of paid and free apps. New apps are added there manually and you can even find paid apps there. Well, You can see 1Mobile Market on Google Play too, but that version is different version having limited access to only free apps, and always redirects you to Google Play to download them. This is just to not violate the Google Play Terms and Conditions. We are actually talking about the secret version of it available exclusively on their website and inside the lite version as a free upgrade. Once you download this version, you will get rid of all the limitations. You can browse paid apps and download them directly to your device. This is also one of the beautifully designed apps. If you need a refreshment try this app out. The speciality of this market is that it gives a lot more than just paid apps. It gives you paid ebooks for free, paid music for free, paid movies for free and also allows you to download youtube videos to your device. It also has file managers included, with a junk cleaner built in to clean up your device. That’s not all, it shows a stylish local weather tab on your notifications bar. That’s an all in one package. This is another brilliant app to get paid and free apps only if you know how to use the app. The app is not so much properly coded and that is why many users cannot find it user-friendly to use. But it has been one of my favorite apps because of a special reason. The reason is that it keeps nearly all versions of the app, not only the current update. So, if you need to downgrade an app to its earlier version, this app is the best app for that. Now coming to the file downloading rules, which is a bit complex. The apk files are uploaded by many app team members, and they keep adding it as soon as newer updates are released. This also makes it easy to find newly updated apps. The whole process is a bit lengthy but helps a lot while finding out older app versions and latest updated apps, new games etc. Overall it is a useful apps for those who want to discover new stuffs. Try the GetApk app out. Unknown to many, 4Shared is another great repository to search and download just about anything. 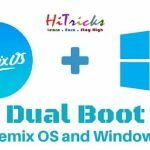 Not only just android apps, it hosts windows softwares, pictures, videos, music, pdf files, ebooks and a lot of other stuffs. The files are uploaded here by the users only and shared over the 4shared cloud with the other users. This app is also legal and available as a download on Google Play Store. This is because the app does not promote piracy in general, it publicly hosts the files uploaded by users and makes them available throughout the cloud. You need to make an account on 4shared to use the app. You can browse, download and upload files. All you need to do to get a file from here is just to search it using the search option, and sort out which type of extension you want as a result. If you are looking for android app, then you can choose apk as extension and search. The disadvantage is that the files can be uploaded by any person, and often people uploads fake files just to spam, with downloader bundles including undesired apps. 4Shared has a Pro version which is Ad Free. We are directly sharing the 4Shared Pro Version With You. These were the list of Independent Alternative Stores to Download Free and Paid Apps for your Android Device. Hope you have enjoyed the article. Thanks for reading. Do share if you like it. Use the share buttons below to share it on facebook. It really helps us. Keep Visiting HiTricks for more awesome tricks. Before you leave, check out the hottest smartphones of 2016 at great discounts. Wonderful post Nirmal ! Thank you for posting ! Wow, thanks for this valuable information. Keep posting on unknown topics. HELLO bro, plz help me. I have also written similar post like you about getting paid apps for free. If you could just link it in your article, then it would really really help me plz. Nice Post but after installing paid apps . license issue created . How to solve it???? Great post admin. I just loved your site design. Keep sharing such posts. Really awesome man loved it. Thanks bro, It was helpful for me. Thanks for sharing the best apps to download paid apps and games for free. Great article here. Thanks for the post. What about hacked games or modded? Do any of these help me out? I can’t seem to find this game hackable at all, and no one has been able to help me yet and everything ive read is fake. Please help me get a hacked version of a game called homescapes. I am using app vn is that good. Really Awesome Article! But is it legal to use Blackmart? ‘Purchase problem’ msg on display. thanks a lot nirmal for providing such cool content. I’m the regular visitor of your site and check all the new published content on regular basis kindly update your blog on regular basis. I can’t find them on de alternatives you gave here..
Can anyone help me with this app? Hi guys I want an app actually its an trial version app want it on premium Pls help me its taalmala. I think APKMirror is also very good. What do you think about it bro? Not working. When I am trying to download 4 shared pro it is downloading 1 mobile market. Thank you for sharing this incredible post with us No doubt its an great post. I tried some of these apps and they are really useful. I just downloaded AC:Identity from Blackmart but it is not working in my Galaxy A3 5.0.2V device why? Be very wary of MoboGenie. I have worked in computer repair and virus removal for 5 years and I can’t tell you how many times i have removed MoboGenie malware off of Windows PCs. It is very invasive and hard to remove. Best new alternative app named Above through which you can download any pro paid app or game from Playstore for free. What is the ne of the app for getting pro keys? Thanks for sharing this helpful trick. Thanks for sharing great list of google play store alternatives. Keep up the good work. I see people are still commenting on this article, so I will add my suggestion. Amazon Underground(“Actually Free”). Hands down….it is THE BEST WAY to get selected paid versions of games & apps totally for free…legally & piracy free. Without going into the specifics, Amazon regularly partner up with developers. Where the developer still gets paid for their app, while the customer is still able to get the Full-Version for free. It’s a win-win for both parties. Like Google Play, Amazon offers so-called “free” apps. But most often, they’re just either demo versions, or full versions with hidden/sneaky in-app purchasing. But Amazon Underground(“Actually Free”) sets itself apart by offering selected apps and games 100% completely, and totally free with no-strings attached. The Underground app is built within Amazon’s regular app. With an Underground tab in the department’s drop-down menu. You’ll immediately notice how all of the free apps & and games that have been designated as “Underground” by Amazon will have a sash/banner that says “Actually Free” located in the upper left-hand corner of the app’s avatar/icon. The free games aren’t those crappy bad match-3 genre games, but games from big name developers like Artifex Mundi, Big Fish, etc. The best discount I enjoyed on Amazon Underground sofar was “The Guide”($2.99), and “The Guides Compendium($0.99). Google Play Store will charge you for both. But with Amazon they’re both 100% free, with no in-app purchases. They don’t offer only games. They offer Full Versions of apps too. For a while they offered PowerPoint, and a couple other Microsoft apps. You’ll find many other type of useful utility apps. Another positive note is they update their free “Underground” apps/games on a regular basis(weekly IIRC) . IIRC, you’re required to download the Amazon app via Amazon.com, it’s not available in the Google Play Store. And the apps are downloaded directly from Amazon”s servers. You’re not redirected to the Google Play Store. So you’ll need to grant your phone permission to install from unknown sources(sounds scarier than it really is, lol). For beginners/novices, IIRC Amazon website will provide instructions on how to grant this permission. Or you can simply just Google the “how-to”. It literally takes at the most 30-45 seconds to change this setting on your phone. And before you’re wondering why I wrote such a long, positive review for Amazon Underground, no I don’t work for them, nor am I a professional(or even amateur) reviewer. I’m just a regular, normal customer who thinks Underground is an amazing, hidden gem of an app. Basically anything that’s offered for sale in the Google Play Store. Whatever you earn is good for 1yr only. The amount earned varies by survey. The number of surveys you get varies person to person. At the most I’ve earned $1.00, the least was $.10, both taking at the most 20 seconds to answer on average 3-4 questions. Unlike most other apps that supposedly pay you to answer surveys, Rewards isn’t a scam. They actually pay you out immediately. And you can cash-out, and use your money to make purchases immediately. Sofar I’ve already earned a little bit over $21.00…yes…that’s twenty-one dollars!!! It took a couple months to build up, but that’s a lot faster than any of the other scam apps take to earn paid apps for free. And considering most of the apps/games cost $0.99-$2.00, you can earn a couple free apps easily in one day. If your lucky, you can earn several a week. My first week enrolled, I was able to earn enough to buy a $5.00 game! And if you wanna download the Google Opinion Rewards(seriously…I can’t recommend this app highly enough) just do a quick search for “Google Opinion Rewards” in the Google Play store. How to get license from Google play whenever the paid application ask’s? After installing paid app the app will say license didnot found why?????? Well will mod apk be there in these 4 apps ? Awesome post sir. Btw Apptoid is also a good option. Great info thanks 4 sharing. Thanks so much for this post! I had no idea that there were alternatives to using Google Play to download apps. Blackmart sounds like a great option, I like that it is customizable. I am sure that this will be helpful to many people.